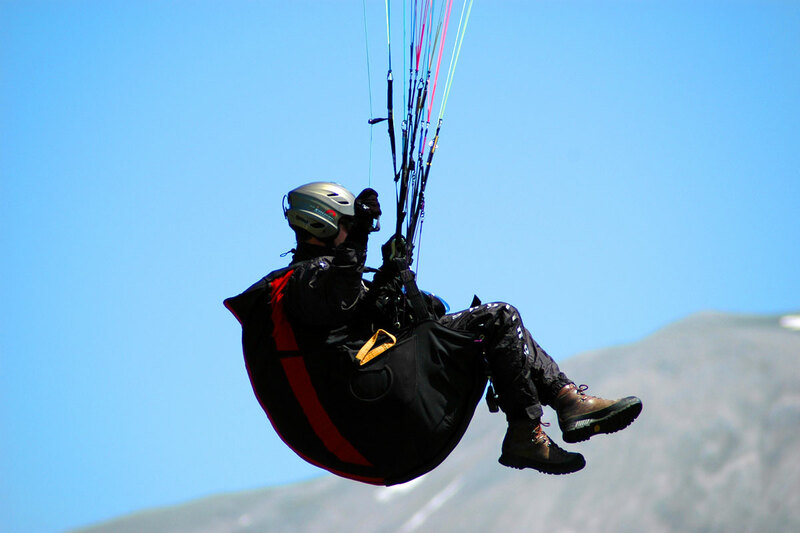 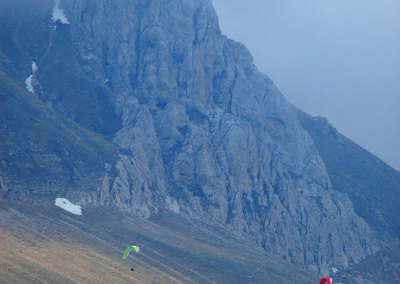 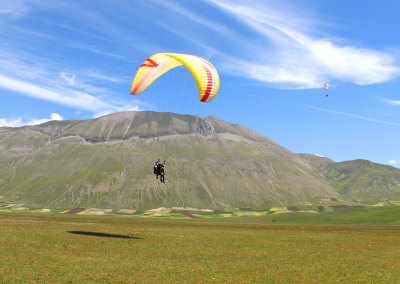 Have you ever tried to soar in the air with a hang-glider or a paraglider? 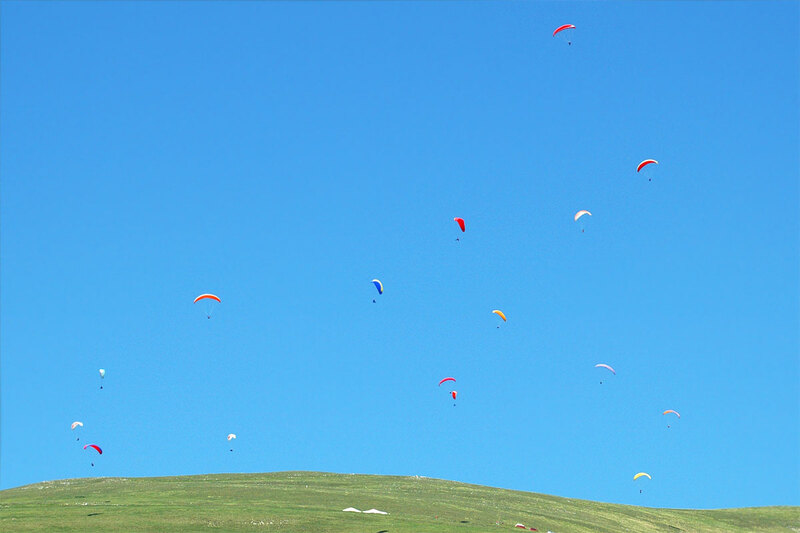 The unique feeling that you feel is so attractive as to be indescribable. 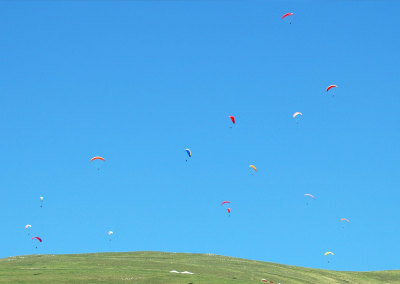 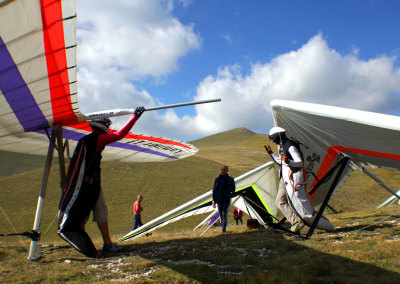 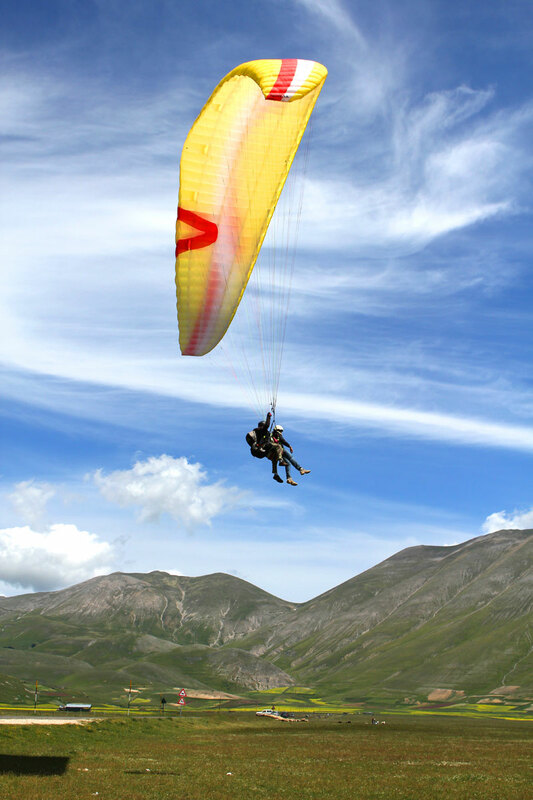 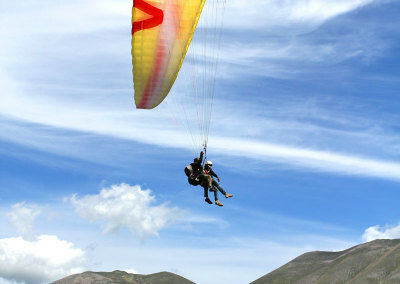 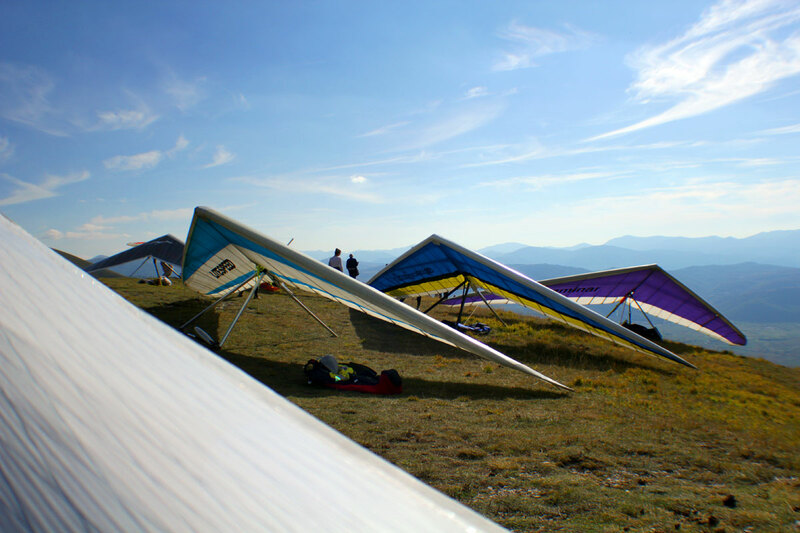 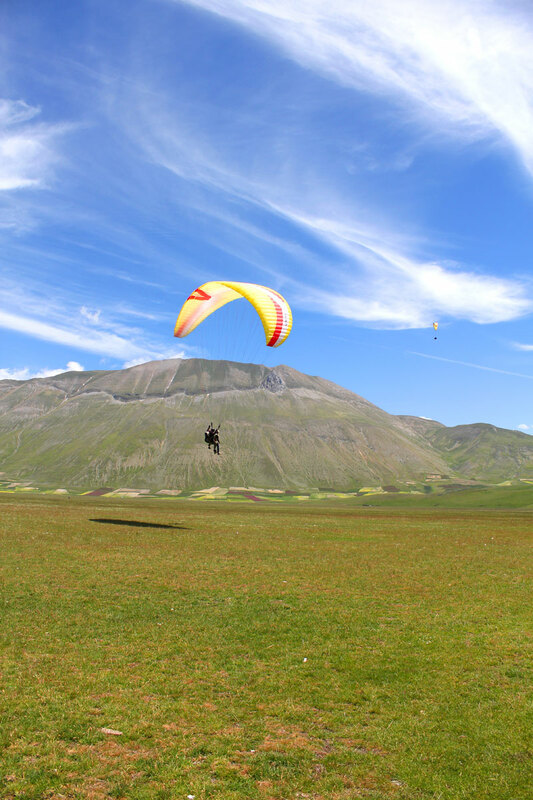 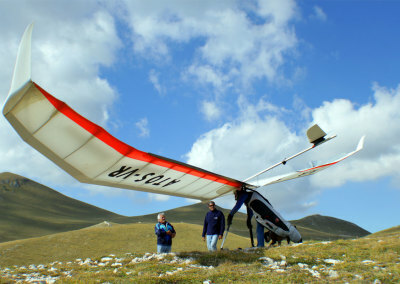 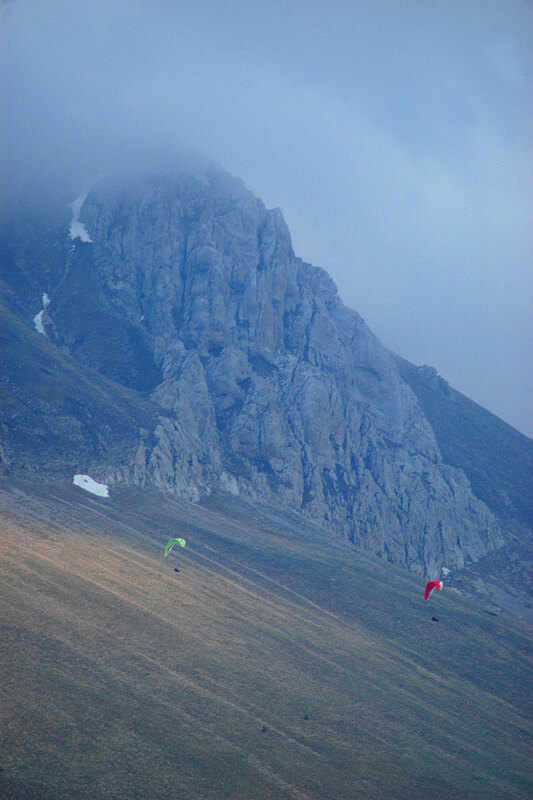 A Castelluccio di Norcia free flight is for everyone, in the company of expert instructors, it is also possible for those who do not have the slightest knowledge of hang gliding or paragliding in tandem with tourist flights can admire the beauty of the Pian Grande of Castelluccio. 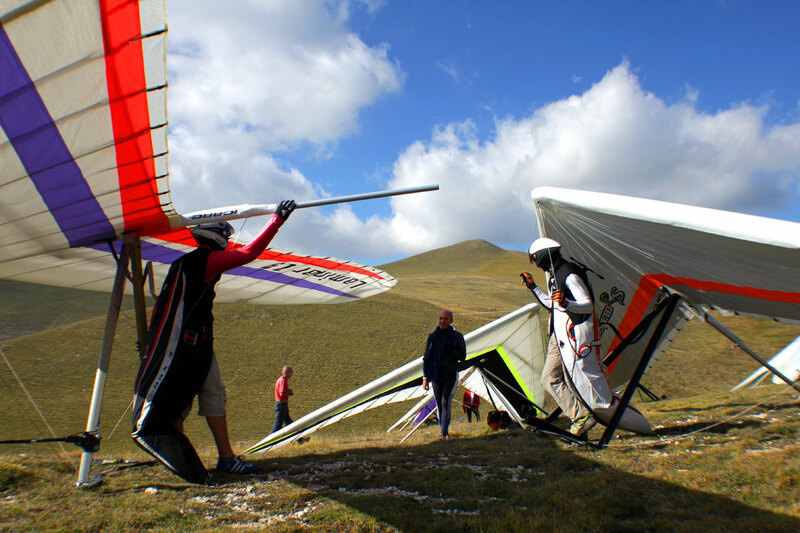 For those who want to start to learn the “delta” or “para”, or for those who want to improve their flying techniques, Castelluccio is a school that for many years has worked in the area and provides excellent professionalism.